At just 4.2 light-years away, Proxima b, which orbits the star Proxima Centauri, is the closest exoplanet to Earth in the known universe. And better yet, it could be habitable to life! But researchers, armed with new data, just broke some bad news: The planet is prone to horrible cosmic turmoil — the kind which allows oxygen to escape the planet’s atmosphere and drastically reduce chances life can make a home for itself there. Exoplanets in the habitable zone aren’t necessarily safe and sound — and it seems this especially true when the host star is a red dwarf. Those stars may be prone to ejecting high amounts of extreme X-ray and UV radiation, which can erode the planet’s atmosphere and affect its atmospheric pressure. A loss of pressure means it’s easier for the planet to hemorrhage free oxygen and hydrogen — the constituent elements of water. No water effectively kills off the possibility that a planet can sustain life — or at least life as we know it. Bad space weather, like solar flares and coronal mass ejections, cause X-ray and UV emissions to break hydrogen and oxygen molecules into atoms and enable their escape. Proxima Centauri, as a red dwarf star, is smaller and cooler, which means the habitable zone is 10 to 20 times closer, but that makes Proxima b more prone to this type of violent space weather. Researchers estimate that this atmospheric escape can make the exoplanet uninhabitable within just a few tens to a hundred million years. Proxima b may be subjected to radiation torrents from superflares about every two hours, which all oxygen will escape in ten million years. It’s not just lack of oxygen that’s an issue, though. There’s also intense magnetic activity and stellar wind that might be pummeling Proxima b as well. Researchers plan to study the atmospheric erosion of nitrogen, which is also essential to life, on the planet. 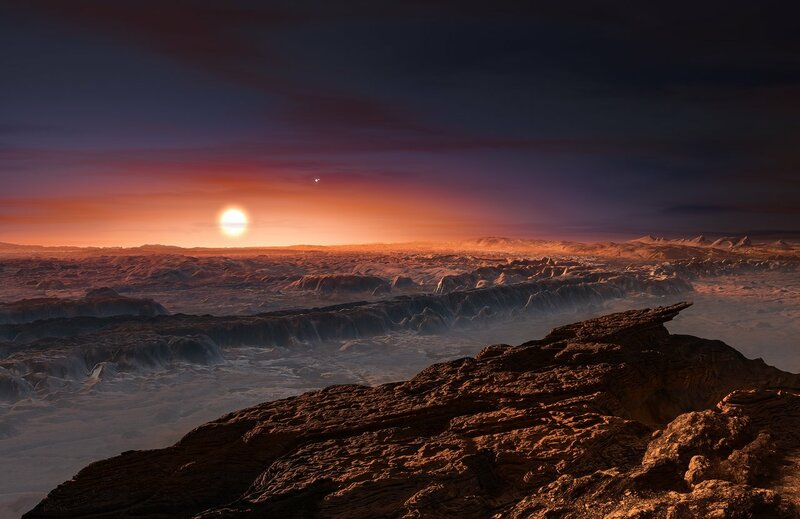 While a lack of oxygen might make it hard for complex life to evolve and survive on Proxima b, a lack of nitrogen would seriously limit almost any possibility for any life to survive the exoplanet.